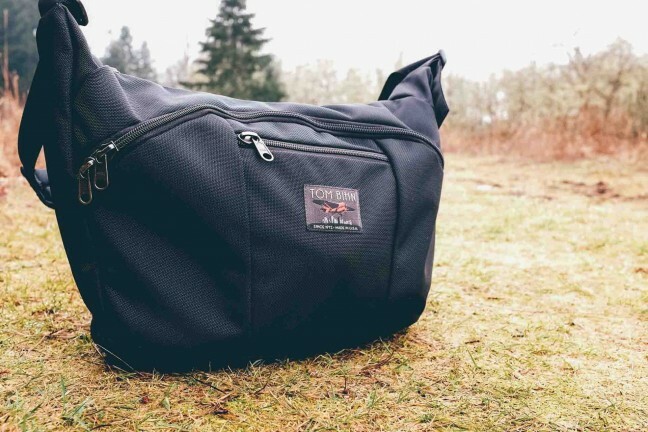 If you love large, modular travel bags, the EZ_Duffle by Torba is a Kickstarter project that should pique your interest. 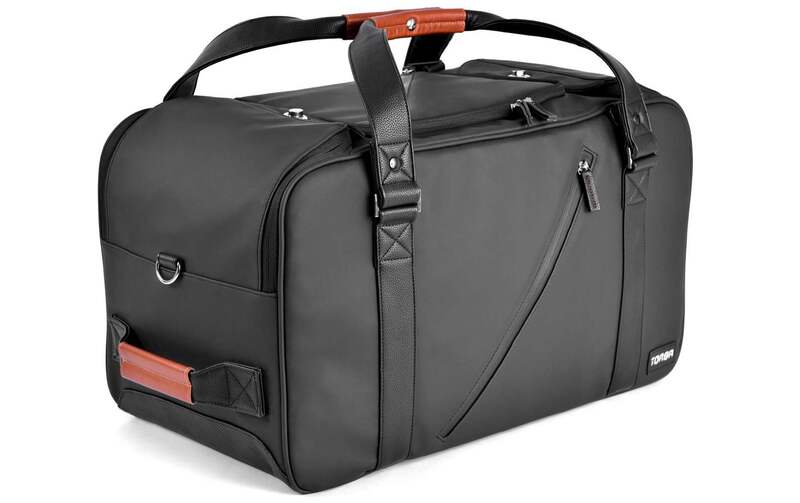 Clocking in at 20″ x 9″ x 11.5″, this duffel (which is how I prefer to spell it) is a versatile, modular bag that aims to keep you organized so you can grab what you need, when you need it. 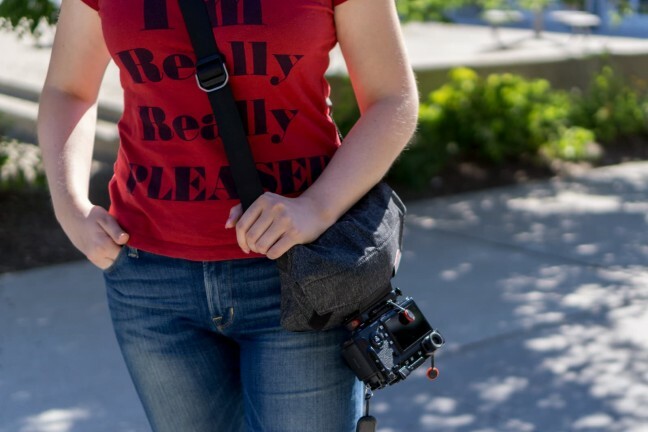 It’s loaded with 22 pockets, compartments, loops, and straps that can be reconfigured in a variety of ways depending on what you need to pack inside. When the bag’s empty, it twists and folds down (origami-style) into a compact form for easy storage between trips. Electronics module — Equipped with a dedicated smartphone pocket, a padded tablet compartment, a documents pocket, two mesh pockets for all your small items, and pen loops. Flexi-dividers module — Allows for either vertical or horizontal stacking of bottles, lunch boxes, accessories, garments, etc. A vented laundry compartment on the back of the bag gives you a great place to store dirty clothes, while the spillproof pocket on the inside of the main flap is great for toiletries. 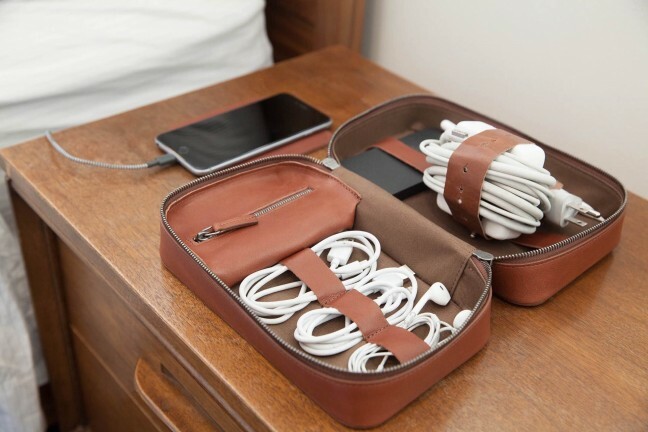 The multipurpose interior strap can be used to keep items like garments, shoes or your laptop securely in place. As of this writing (June 24th, 2017) there’s about a week left before the Kickstarter project is officially funded, and they’ve already more than tripled their funding goal. They’ve still got some early-bird reward slots available too, so you can back the project at the ~$155 (USD) level or higher to get an EZ_Duffle of your own.